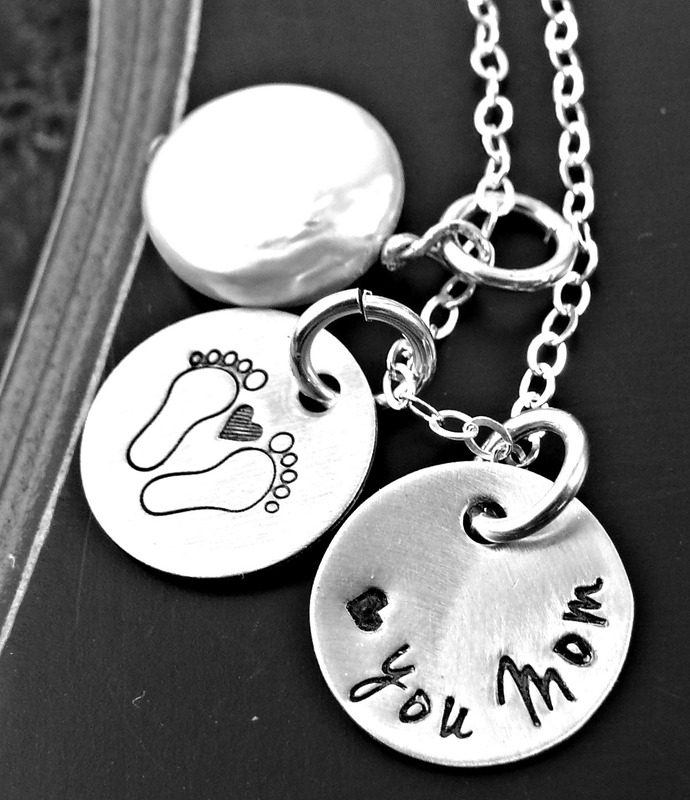 I love being a mother, its rewarding and allows me to feel bits and pieces of my childhood all over again. My favorite part about being a mother is the ability to show life to my son, to bring him to new experiences and watch his face light up with wonder and excitement. Today I wanted to reward another mother/grandmother with this beautiful handstamped personalized necklace from my jewelry shop yourcharmedlife. 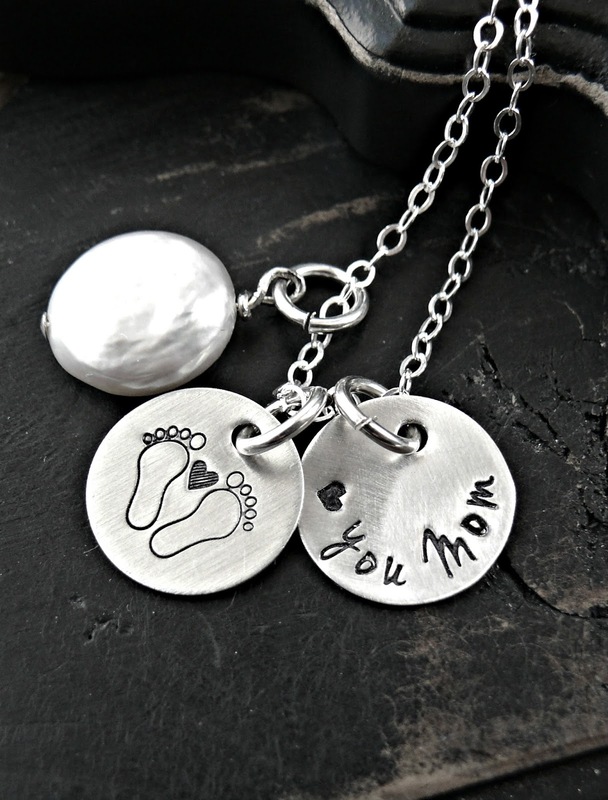 Sterling silver disks with baby feet and a sweet message of "love you mom" on the other. A White pearl hangs on the side, all hung on a sterling silver 18" link chain. Easy entries via Rafflecopter, must complete actions I check entries! I announce winners and contact them via email, you have 48 hours to respond and claim prize. If no response a new winner will be chosen. Thank you all & have fun!! 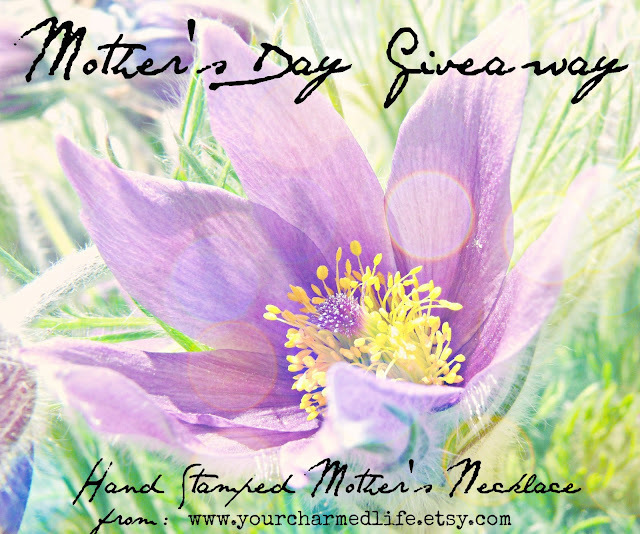 a Rafflecopter giveaway I offer many Mother's Day gifts in my shop, please go take a look. hugging my grandkids every day is my favorite thing. My favorite thing about being a Mom ( now that my son is all grown up ) is laughing with my son over funny things that happened when he was little! 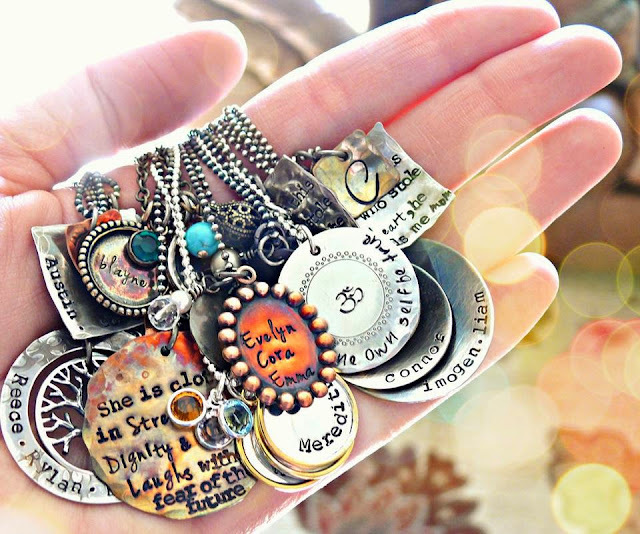 The dog tags are unique and cute! 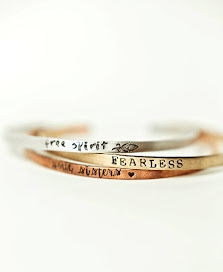 The bead bracelet made from agate is also charming! Thanks for the entry to your special Mother's Day giveaway! I would be thrilled to win of course! It makes me happy and proud, knowing I raised and guided this funny, sweet, loving person.